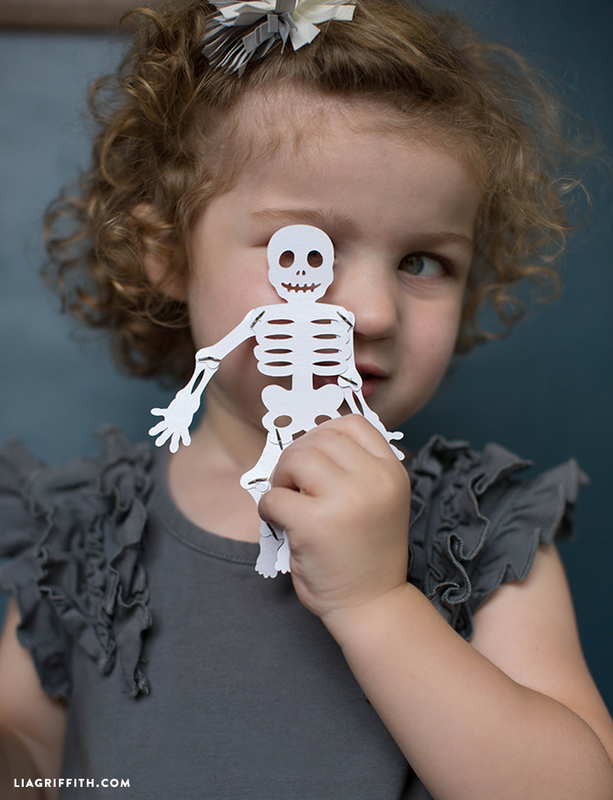 Our mini Mr Paper Bones is possibly the cutest little skeleton we ever did see! 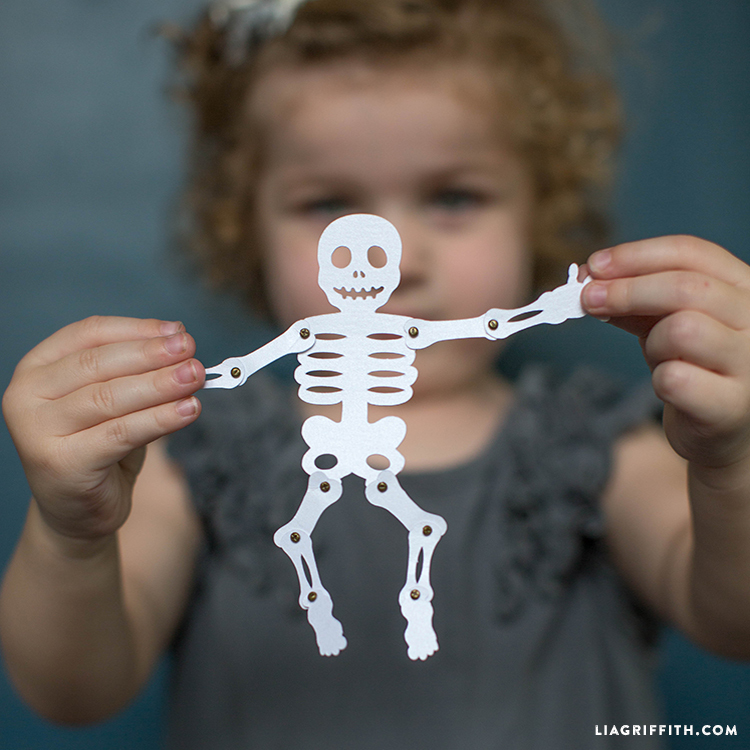 At just 5.5″ tall our teeny paper skeleton is the perfect little decoration for your Halloween celebrations. These little guys (or girls) have so much personality and add that little bit on fun. 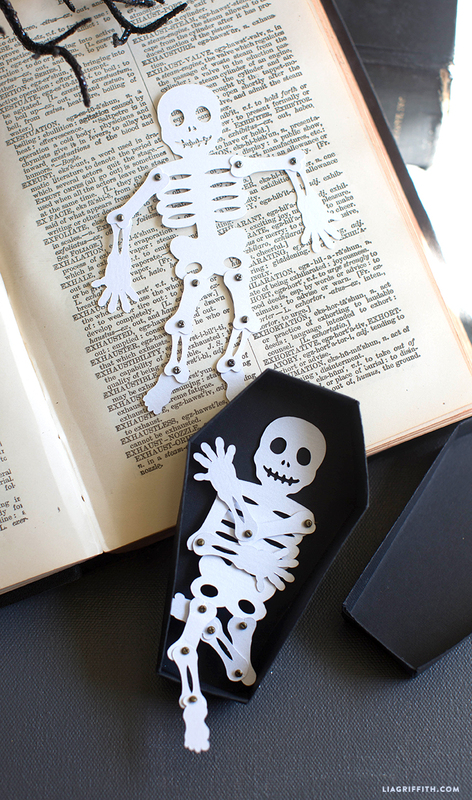 Ours fit into a spooky paper coffin treat box – which we will be sharing soon! 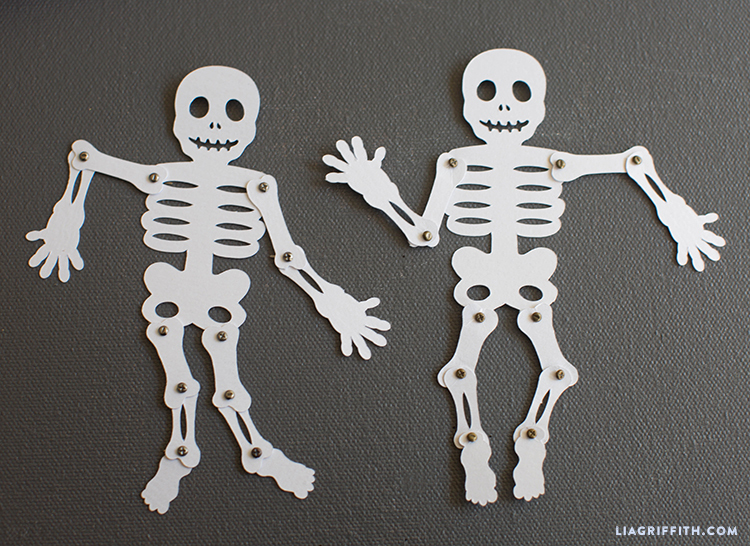 If you have a cutting machine you can use the SVG file below to cut the paper skeleton. If you want to cut by hand simply download the PDF and print the templates onto your white card stock. The details are in black so you will only have to trim the outer edges. You can upload any SVG cutting file into Design Space and create to your heart’s content! You are sweetheart, thank you! Oh my heavens, so durned adorable, hope can get blasted printer hooked up so I print out bunches of projects. Need things to keep my hands busy, no snacking. Thanks for sharing this, can hardly wait for coffin. 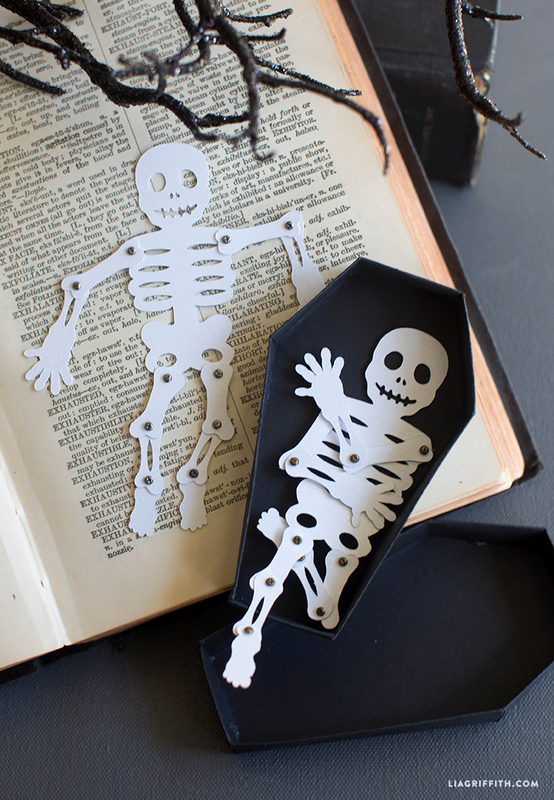 Will go shopping for some nice glittery papers to make skeletons with and black for coffins. That little girl is just so pretty and that hair, oh my. Lucky Momma.